Documentary and Interview on the occasion of Anne Katrine Senstad's installation UNIVERSALS at Officina delle Zattere during the 55th Venice biennale. Many viewers are coming across the work of Norwegian-born, New York–based artist Anne Katrine Senstad at the 55th Venice Bienniale. Senstad’s work is on view in the Officina delle Zattere, as part of the group exhibition Metamorphoses of the Virtual – 100 Years of Art and Freedom. Her installation consists of a projection of the video “Colour Synesthesia,” as well as a handful of other pieces and photographic works from the series UNIVERSALS Foldouts. When you walk into the installation, a large screen with constantly changing colors and abstract forms confronts you. 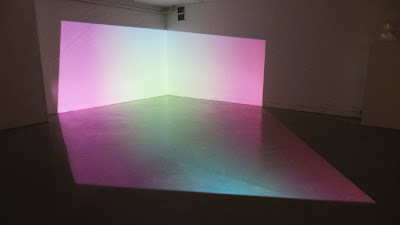 In front of the video is a sculptural structure based on Senstad’s ideas of solidifying the space that light and color inhabit. This is done by isolating a set area that has had the original video projected onto it and recreating it as perceived form — a cross between a Buckminister Fuller machine and an oversized model for an architectural building. The object is symptomatic of the origin, becoming a replacement for the source itself. Moving around the sculpture, you experience it in relation to the video projection. 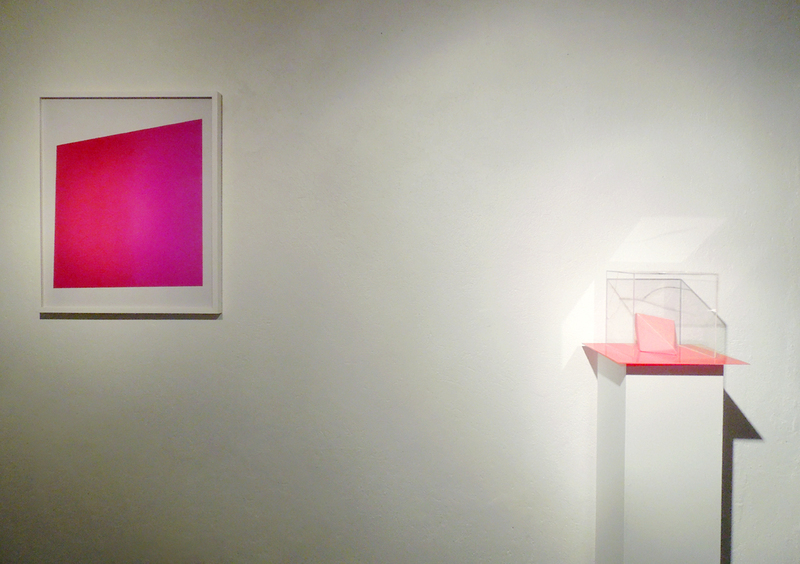 The changing hues of “Colour Synesthesia” create variations in the structure’s surface, light, edges, and angles. Senstad says it’s also meant to exist as a solid, transparent Plexiglas piece, with the video projected directly onto it. This would demonstrate a more direct perception of transparency and continuous transformation. 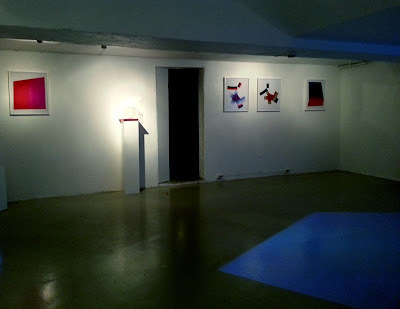 In addition to showing in Venice, Senstad recently had a solo exhibition in Oslo, at SALT (Saltarelli Salong), a gallery in a former World War II bunker where Norwegian politician and war traitor Vidkun Quislingonce hid. 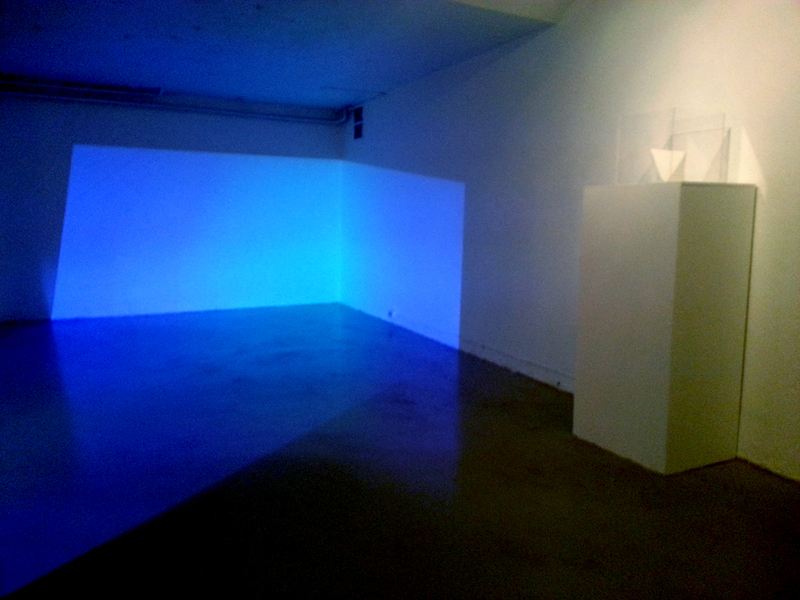 The exhibition, curated by Bjørn Hatterud, was a take on the Venice project, including a V-shaped transparent thread installation through which Senstad projected her video in order to take her exploration of perception further. It also included six photographs from her color foldout series and two sculptures. 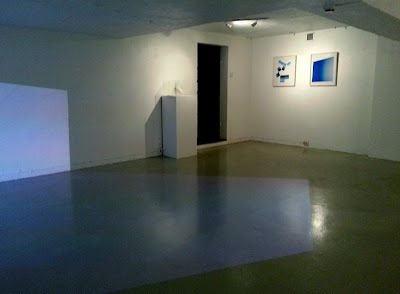 The show was titled State of Space. 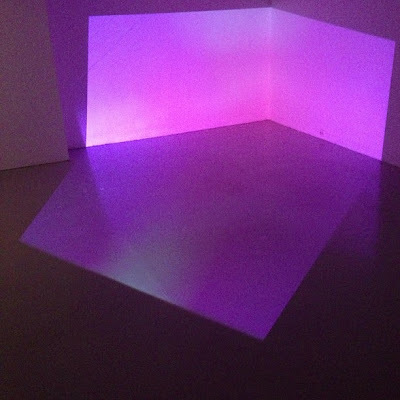 “‘State of Space’ refers to perception of space, a dialogue with light, color, and the architectural psychological space and changing the perception of space sensorially and phenomenologically,” she explained to Hyperallergic. 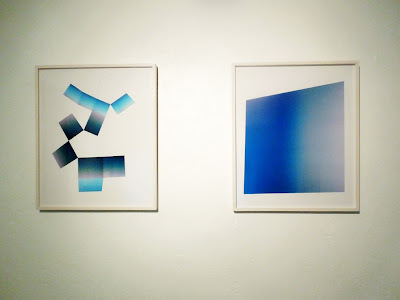 All of these pieces, however, make up only one end of the spectrum of Senstad’s intriguing explorations of light. The film is also infused with Senstad’s relationship with landscape. Moving beyond the historic architectural structures, she added both a psychedelic and a poetic element, creating a world that envelops the subconscious and subliminal. “I mentally pre-edit and pre-visualize the video pieces,” she said, “so I actually don’t write out scenes. I work from an inner organized mental platform.” These comments reminded me of when I went to hear the author A.S. Byatt speak a few years ago, about a book she had just written. Explaining her working process, Byatt said she sometimes doesn’t write a word for weeks while working on a new book. She goes on long walks, thinking everything through, working out the characters and the story in her mind. Then she sits down and writes the entire thing all at once. Senstad is in the process of doing research for “Projections of the Surreal, Part 2,” which will be based on Surrealism in Scandinavia and the psychological ideas floating around at the time of Munch. The project will incorporate ideas from Wilhelm Reich, the controversial German psychologist who promoted sexuality as a means to address societal and psychological problems. Reich, it turns out, spent a lot of time in Norway prior to moving to Maine. He was a student and collaborator of Freud, but Freud distanced himself when Reich developed his controversial theories and practices. Senstad is also fascinated by synesthesia, a neurological condition in which one sensation involuntarily conjures up another, often an association of a letter or a number with a color or sound. 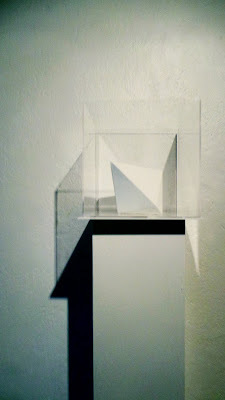 She explores it in works like the one currently on view in Venice. The first medical reference to synesthesia appeared in 1710, written by an ophthalmologist named Thomas Woolhouse; he was researching a blind man who experienced colored visions when he heard specific sounds. Scientists became further interested in the 19th century, when it was determined that the phenomenon was not a product of imagination but rather of the brain. Isaac Newton was also fascinated by synesthesia: he experimented with different mathematical formulas in an attempt to connect wavelengths of light to their analogous sound-wave frequencies. It didn’t work out but inspired scientists, philosophers, and artists to study color. Ongoing studies of what is actually happening in the brain when synesthesia occurs show similarities to the brain’s activity during hallucinations. Senstad is delving deeply into the relationship between the senses, especially between color vision and sound. All of her work deals with perception — how what we see, including the colors around us, shapes how we feel. The stimuli are objective but the experiences are subjective, mirroring ourselves, our brains, and our psyches. Senstad’s work follows this complex investigation of what is physical versus what is psychological, and where these lines get blurry. It does so generously, seeing truth on both ends of the spectrum and at many points in between. 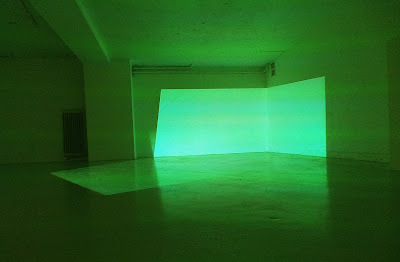 I went to see James Turrell lecture years ago. He opened by saying, “I never thought of myself as an artist. 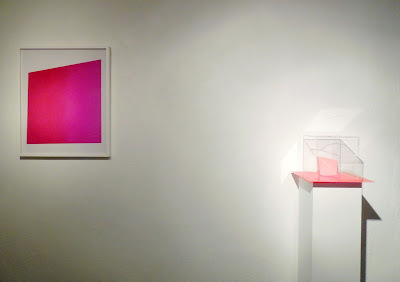 I’m only interested in perception.” Senstad’s work is in conversation with Turell’s, focusing on perceptions of landscape and dreamscape, the physical reactions of the body to light and color, and the emotional and psychological aspects of the brain. Both artists’ work point my mind to its own landscape of vastness, like looking out at a tremendous sunset and finding yourself dissolving into all of the in-between states as you navigate the color, light, and dark. Metamorphoses of the Virtual – 100 Years of Art and Freedom continues at the Officina delle Zattere (Fondamenta Nani, Dorsoduro 947, Venice), through October 31. 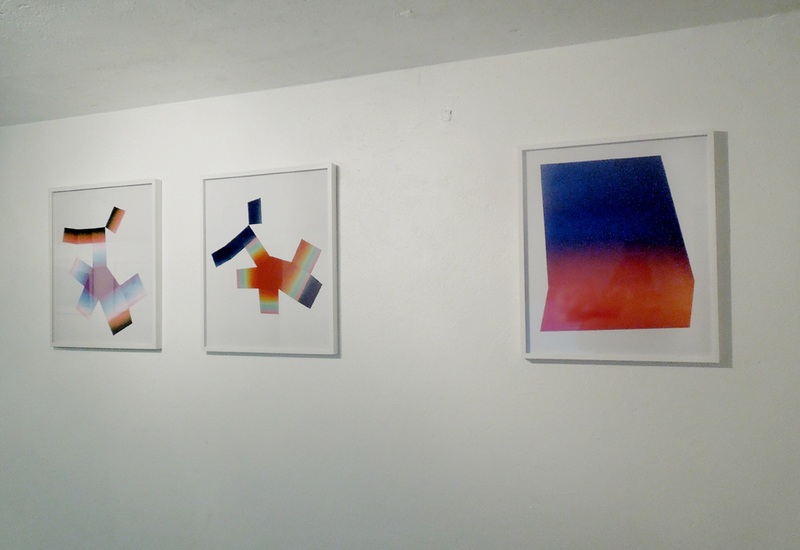 Anne Senstad: State of Space ran at SALT (Saltarelli Salong, Møllergata 37, Oslo) from August 30 to September 9. Installation at SALT(Saltarelli Salong), Oslo, Norway, Aug- Sept 2013. 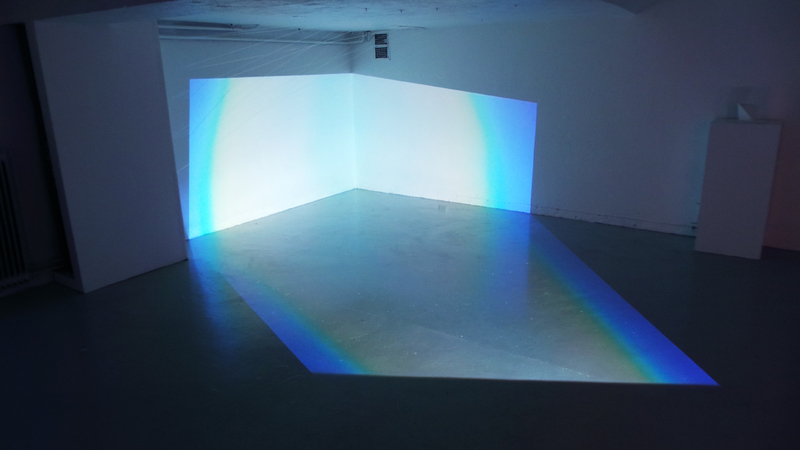 A documentation of Senstad's video projection piece Colour Synesthesia Variation IV, Silent version, 2013 which is part of her exhibition STATE OF SPACE. Curated by Bjørn Hatterud.